Budweiser is once again set to shine the spotlight on the UK's amateur football players, as its Dream Goal campaign returns for another year. The AB InBev beer brand is inviting players to capture their best goal kick on video and submit it via the Budweiser website, with the best entries to feature in weekly 'contender' slots on Sky Sports. The goals will be analysed by a judging panel comprising former professional footballer Jamie Redknapp, broadcaster Ed Chamberlin and new this year, ex-Liverpool player Jamie Carragher. The winning goal will be revealed on 15 May when it appears in a 90-second ad alongside the panel members’ analysis. The winner will also receive £50,000 for a non-league club of their choosing, which will be presented to them by an FA Cup legend. Additionally, five runners up will each receive a £10,000 Budweiser Club Futures grant, and the teams of both the winner and runners up with be invited to take part in a one-off FA training session. The 2016 prize package forms part of the Budweiser Club Futures programme, a grant scheme that is run in partnership with The Football Association and The Football Foundation. It is designed to support grassroots football throughout the UK. 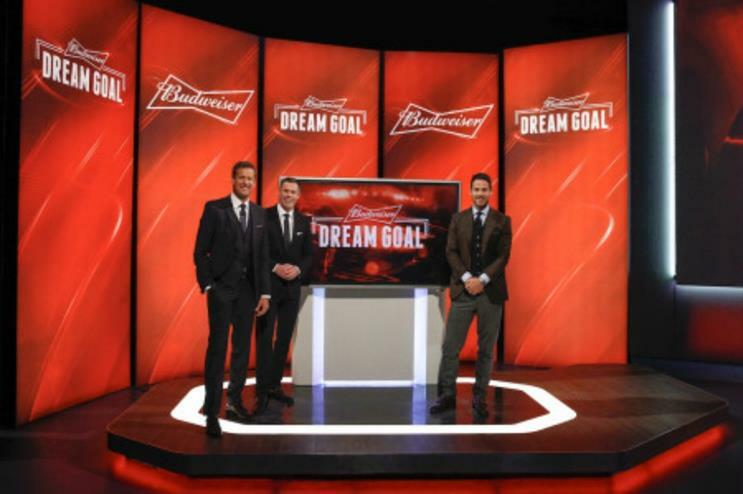 Laura Salway, senior brand manager at Budweiser, said: "Budweiser Dream Goal got off to a flying start last year, with over a thousand amateur goals submitted from across the country. In 2016 we wanted to pick up exactly where we left off by celebrating stand out amateur goals and featuring one of our incredible Sunday league goal submission’s in our launch ad. "This year will be all about our Sunday league stars and we plan on showing as many of our submissions as possible, and giving as many as we can the star treatment they deserve. We’re so excited to be back this year, with a new judge to add to our famous line-up – plus a seriously impressive prize package for our winner to continue our longstanding support of British football." Take an in depth look at Event's coverage of Budweiser's recent Live Project music tour here.